Windows are one of the most common surfaces that we apply graphics to. But installing a window graphic is one of the most difficult applications because of their high surface tension. Even this application could be easier with a few simple techniques. First follow the steps outlined in the video “Creating a Clean Zone”. 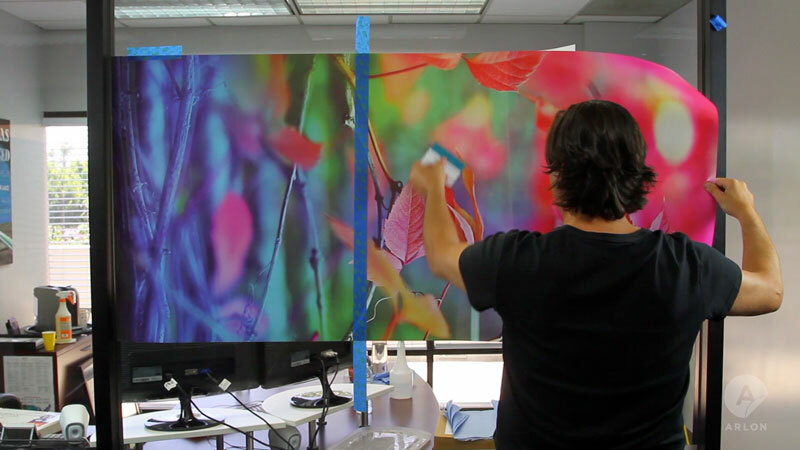 Now, let’s install a large printed graphic that will be viewed only from the outside of the glass. Water is not necessary for this application because the streaks left behind by the squeegee won’t be seen. This means you can use vinyl with a water based or an air egress adhesive, but this is still a difficult application because of the high energy surface of the glass. Even adhesives that are designed to be repositionable can become permanent very quickly. Begin by taping the graphic in place. Long graphics tend to creep up or down so be sure to make lots of registration marks to help you stay on track. The key to an easy dry window application is adhesive management. Only expose the minimum amount of adhesive necessary so that you are in control of the application at all times. I do this by using a back-slitting tool called “the bodyguard knife”. 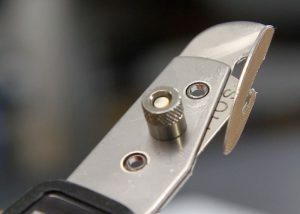 This tool allows me to choose where I want to start the application by cutting only the liner. Now that I have applied a manageable section of the graphic in the center, I can apply it in either direction. I am removing only as much liner as I want, staying in complete control of the application. Adhesive management is crucial to the dry application of a window graphic! By controlling the amount of adhesive that is exposed, you can make even the largest window graphic an easy application.